Susan was asked by Ave Maria Press (the publisher of River of Grace) to be a contributor to a wonderful devotional project that is a part of the Catholicmom.com book series. 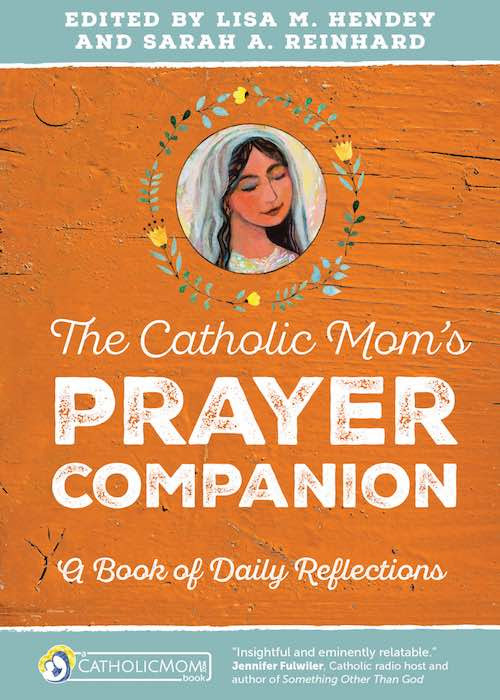 Susan is privileged to be one of eighty distinguished writers for this work known as The Catholic Mom’s Prayer Companion: A Book of Daily Reflections. 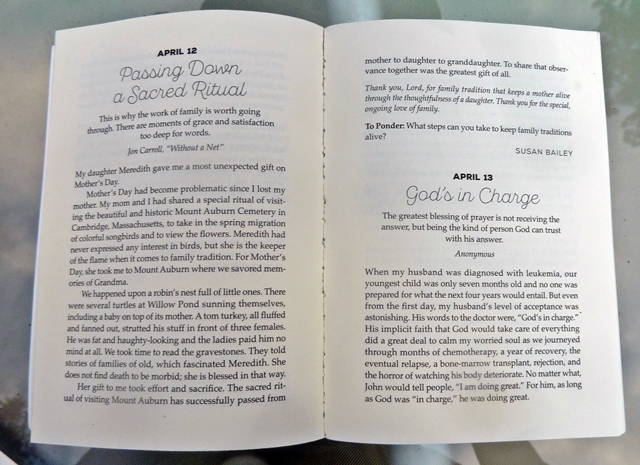 The book contains a reflection for each day of the year. Reflections consist of a short meditation with a question to ponder, and ends with a prayer. There are reflections for all stages of motherhood from pregnancy to newborns, toddlers to the empty nest and beyond. Susan wrote four of the devotions. Read one of her devotions. Each day begins with a brief quotation from scripture, saints, recent popes, or important spiritual writers. A personal reflection–written by contributors including Danielle Bean, Donna-Marie Cooper O’Boyle, Susan Bailey, Lisa Mladinich, Elizabeth Scalia, Carolyn Woo, Mark Hart, and Jeff Young–focuses on some dimension of your spiritual, emotional, intellectual, or physical life. Each day also includes a brief prayer and a question or thought to ponder throughout the day. In just a few minutes of quiet you’ll find the boost you need from a friendly voice. Each month also has a special theme such as love, family fun, and slowing down. Start these reflections any time throughout the year and feel your days become more grace-filled and inspired.